Tak Ishikawa from Nippon Steel and Sumikin Metal said the mechanism worked similar to tree roots that hold soils together. One of the experts explained; the mechanism consisted three elements, a steel bar which drives into the soil, a base plate to absorb erosion and a rope to connect all the base plates together. He added that such method was cost and time efficient. 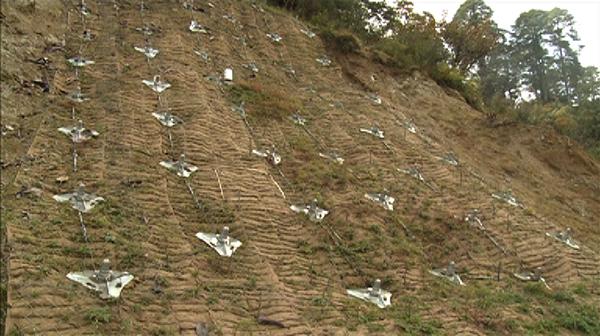 The method has been experimented at Dochula funded by Nippon Steel. They said, the mechanism was environment friendly as it did not involve cutting trees or disposing soil. Works and human settlement minister, Dorji Choden, said if it was successful, the method will be replicated in other critical areas across the country.